Bodoglife has finally joined us in the 21st century and is now offering limit support for Mac users. Before you get too excited though - the full Bodog software package isn't yet available to Mac users. Instead, Bodog is offering Mac users access to an "Instant Play" page. This is a secure pop-up page that will allow you to play on Bodog through your favorite browser (even if you are on a Mac). The upside? 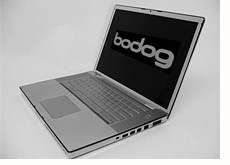 Mac users will be able to play on Bodog. It's always nice to have additional options. 1. You will only be able to play ONE cash game table at a time. If you want to play more than one table then you will need to download the entire software package. If you want to play more than one table and are a Mac user, then you are out of luck. 2. You can't play any SNGs or MTTs with this "Instant Play" option. If you love MTTs or SNGs, and are a Mac user, then you are out of luck once again. There are only a couple of rooms in the world that offer stand-alone software packages for Mac users. Full Tilt Poker was one of the first rooms in the world to offer this capability, while Pokerstars followed a short time later. If you are a Mac user and would prefer to play at a room where they offer Mac users full functionality, then I would recommend either of these two rooms. If you are a die-hard Mac user and fan of Bodog, then you will just have to make due with playing one cash game table at a time. This is a decent step in the right direction of Mac users, but it would be nice if Bodog offered Mac users a full software package instead of a limited "Instant Play" option.